We're a family owned and operated company with more than 25 years of experience in the RV Marine repair industry. We maintain an exemplary level of attention to detail and this combined with our natural talent and dedication to customer service has earned us an excellent reputation. A+ Rating Arizona Better Business Bureau. We are happy to work on your RV regardless of where you bought it. See for yourself, we have the high quality parts and service of the expensive big name shops, with the added bonus of small shop prices and friendly service here at Cowboy's. Please contact our Service Department to schedule your next appointment. Tour the country with confidence thanks to gas and diesel motor home repair services. Fix and maintain your prized possession efficiently and affordably. Fix your marine craft with our professional marine repair services. We have a wealth of knowledge with Certified Mercury Mercruiser Techinicians. We have parts and accessories you need for RVs, Motorhomes and Boats. We have a fully stocked parts in our shop, most products that we don't have in stock can be shipped to us within 24-48 hours from our warehouses. We offer an incredible inventory of new and used RVs, Fifth Wheels, Diesel Pushers, Motorhomes, Toy Haulers and Travel Trailers to keep you traveling in style. In our Marine division, you can find new and used boats for your recreational enjoyment. Come in today and speak with one of our friendly sales associates about your next purchase. Fix and maintain your motorhome investment with experienced gas and diesel motor home repair services provided by Cowboys RV Mart in Lake Havasu City, Arizona. We have the solution to any issue, big or small. Call us today and speak to one of our friendly Service Specialists. Cowboys RV Mart & Marine in Lake Havasu City offers an excellent service department to keep your Motorhome, 5th wheel or travel trailer in top condition. We can perform all your RV insurance or warranty work, including most extended warranty work. We offer a variety of services from repairing a broken water line to custom interiors and entertainment centers. We offer an extensive selection of quality RV parts in stock. Including Camco, Dometic, Suburban, Norcold, Ventline, Thetford, Sealand, Valterra, HWH, RBW and many more. Most non-stocked parts can be ordered within 24 - 48 hours from our suppliers. Cowboys RV Mart & Marine in Lake Havasu City has the parts and boating accessories you need to keep your fun factor high year round. We offer an extensive selection of quality boat parts in stock, including, Hummingbird, MAC, Teleflex, Wetline, Body Glove, Perko, Attwood, Motor Guide, Minn Kota. Most products that we don't have in stock can be shipped to us within 24-48 hours from our warehouses. Cowboys RV Marine, we understand the need for additional financial information and the importance of knowing the costs before requesting service. We are happy to offer a quote on any of our work. Please fill out and submit this form to describe your project or specific needs. You will receive a confirmation after submitting the form. Once we receive your form we will provide you with a quote based on your requests. We offer an incredible inventory of new and used RVs, Fifth Wheels, Diesel Pushers, Motorhomes, Toy Haulers and Travel Trailers to keep you traveling in style. Come in today and speak with one of our friendly sales associates about your next RV purchase. Diesel Motorhome, Motorhome Class A, Class B, Class C, Toy Haulers, Travel Trailers, Fifth wheels, and more rare finds. We offer an incredible inventory of new and used boats for your recreational enjoyment. We are also proud dealership for Godfrey Marine, Sweewater Pontoons, Hurricane Deck Boats, Cypress Cay dealer, Mercury Marine Certified dealer. 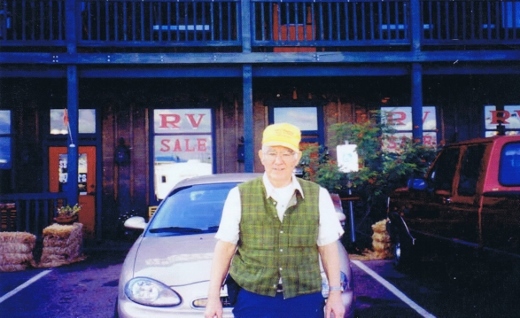 Cowboy's RV Mart in Lake Havasu City offers the best financing in the tri-state area. We will work harder than any other finance department to get your next RV purchase financed. Low rates and second chance financing available depending on credit.Our finance department is available to help you. Is # 1 in Quality! I have searched so many places to do work on my 36’ Warlock Power Boat and low and behold there was Cowboy’s RV-Mart Service Department that took my boat in and overly exceeded the quality of service with dependability and outstanding customer service. That is why I highly recommend Cowboy’s RV-Mart for boat services. After 20 years I see why COWBOYS has an A+ rating with the Arizona Better Business Bureau!!! I'm Cowboys Happy!!! Thank you COWBOYS RV & MARINE. Cowboys kept us very happy! We've known Cowboys RV Marine Service for over 12 years. Their Parts and Sales departments have kept us very Happy!! After several purchases from COWBOYS RV-MART I can tell you, Lake Havasu is lucky to have such a great recreational vehicle facility! Cowboys has a great service, sales, and parts team that really gives red carpet hospitality. The best service for your 5th Wheels, Travel Trailers, and Motorhomes in the Tri-State Area. COWBOYS RV IS THE PLACE FOR ME! When the factory warranty ends, that's when Cowboys begins. There oustanding service department did it again. They went above and beyond the call of duty and got me back on the road! I guess I made the right choice when I purchased my unit from them four years ago. The Service Department at COWBOYS RV-Mart is the Best! Customer service after the sale says it all. This is where many RV dealers fall short. In my experience Cowboys RV-Mart is clearly at the top. I expect Cowboys RV-Mart to continue to provide the very best in RV Sales, RV Service and RV Parts. At Cowboys RV Marine, we understand the need for additional financial information and the importance of knowing the costs before requesting service. We are happy to offer a quote on any of our work. Please provide contact information to go over your needs. Thank you! Thank you for your submission! Our service department will contact you. You can always contact us at 928-680-6500 M-F 8am - 5pm and Sat 9am - 5pm. HWY 95 & KIOWA AVE.